A resort is an island and is more than a hotel. A resort features swimming pools, Restaurants, Coffee Shops, Bars, Bungalows or Rooms, Water Bungalows on stilts, Gyms Water Sports, Tennis, Badminton, Football, Skiing, Snorkeling & etc. When we speak of the Resort Hotel, it is of course one resort hotel on one island. 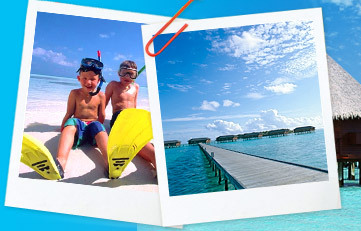 There's no place else like an island in the Maldives for the holiday of a lifetime. Resorts in the Maldives are truly magical. The natural beauties of these resorts are second to none. Classified in different standards, some of these resorts are the best for diving in the world, whilst some of them have been blessed with exclusive features for the snorkeler and for the sun lovers, sand and the sea. Hotels/resorts are built on uninhabited islands and transfer to these islands resorts is commonly by local boats (dhoni), speedboats and by seaplane. 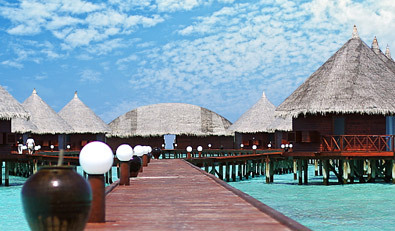 Choose from our specially selected resorts, which are in fact amongst the best in the Maldives.